A master at his game! Lechart Mine. 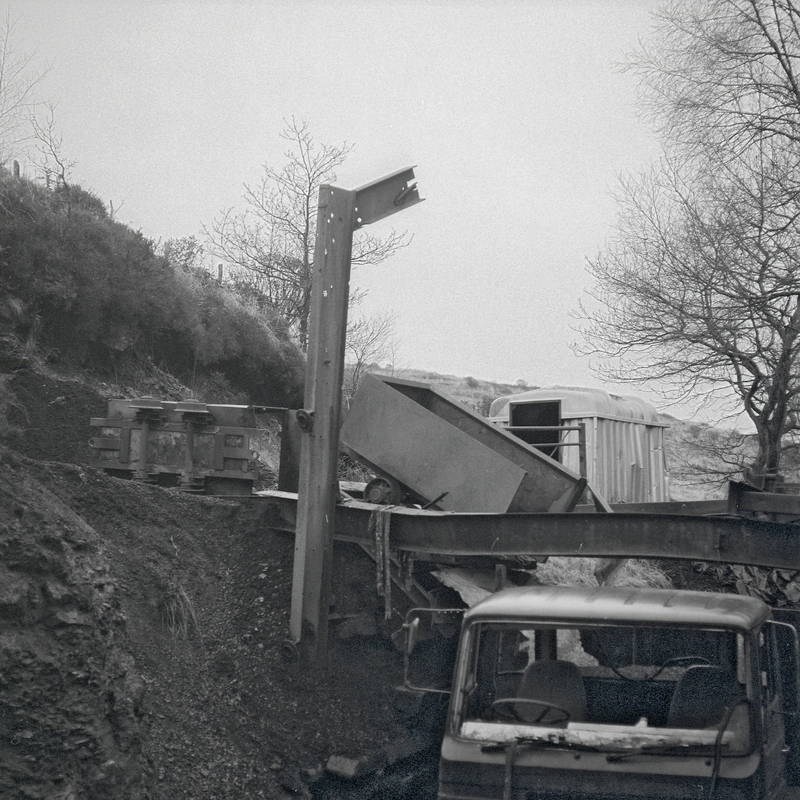 After a lengthy walk a previously unrecorded narrow gauge tramway was discovered at this remote private coal mine near Pontardawe. Gauge was measured as ‘three boot lengths and a heel’ which later interpreted as 3ft. 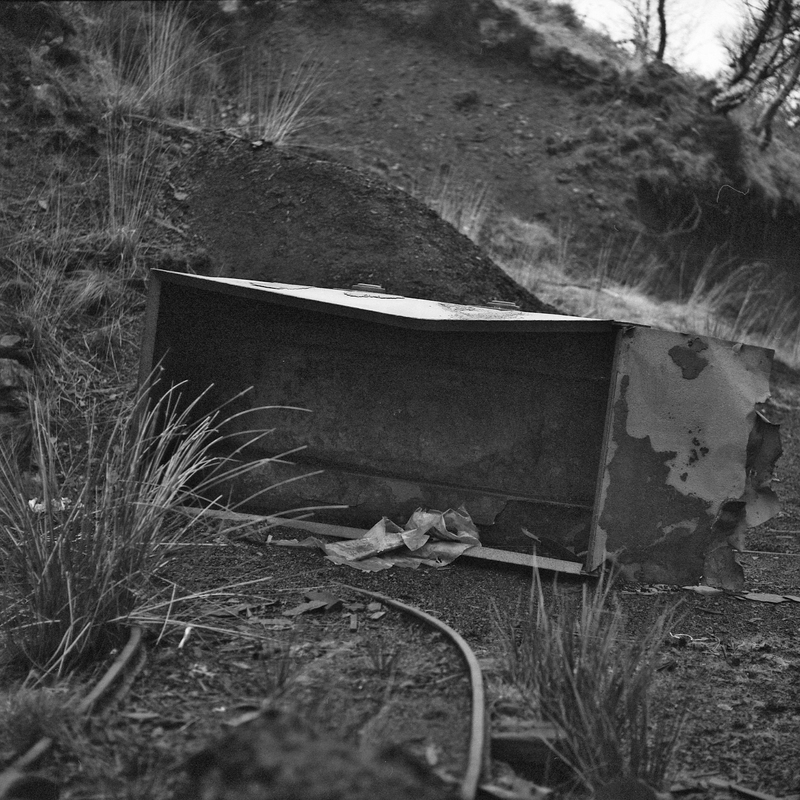 The mine is obviously abandoned with a vandalised lorry still under the tipping chute. The two adits were not securely fenced off and it would have been an easy matter to gain entry underground. Two large coal tubs were on site, one off the rails, the other on the chute. About 20 yards of surface track was noted with a further isolated section nearby. Unfortunately, I didn’t record the map reference of this mine and in the intervening years the exact location has slipped from my memory. I think I’ve found it on the OS map but a virtual drive-by on the nearest road has not jogged any further memory. The photographs shown here were taken on my Mamiya C330, a hefty camera to be struggling with to remote locations. An interesting find. When I lived in Spalding I was interested to discover that there was a narrow gauge railway running across the Fens which was used for transporting potatoes from field to packing shed. Interestingly there were no engines because these tracks were used for small trucks that were pushed by people (mostly women it seems) to transport the produce.